MR. CAUDLE HAS LENT FIVE POUNDS TO A FRIEND. Mrs Caudle’s curtain lectures, 1846. Mr Caudle was a patient listener. From eleven at night until seven in the morning, he was compelled to lie and listen. In marriage, as in war, it is permitted to take every advantage of the enemy. Like the owl, she hooted only at night. That seemingly small circle—the wedding-ring : it may be Arabia Felix, and it may be Arabia Petrea. After his wife’s death, the Ghost of her Tongue still talked as in the life ; it was terrible to be thus haunted by a voice. He resolved every night to commit to paper one curtain lecture of his late wife. A needle case, that under my nose you gave to Miss Prettyman, Mrs Caudle’s curtain lectures, book by Douglas William Jerrold, a comic series originally published in Punch magazine. Douglas William Jerrold (1803-1857) was the son of an actor manager. After some time in the Navy and as an apprentice printer he became a playwright and later a journalist. He was a contemporary and friend of Charles Dickens. 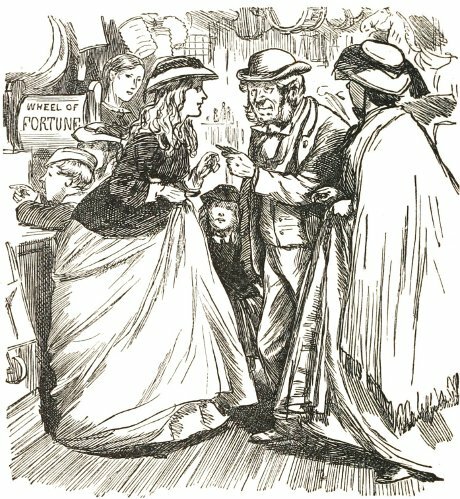 As a journalist he worked for Punch magazine in which Mrs Caudle’s Curtain Lectures were serialised, to be published in book form in 1846. Job Caudle, the ’hero’ of the book is a Victorian shopkeeper whose wife finds she can only talk to him without interruption in bed. Caudle, who outlives his wife, finds he can no longer sleep easily because of his memory of these ’lectures’ and resolves to exorcise his wife’s memory by recording the lectures, it seems with a view to future publication for the edification of others. Jerrold’s humour shines through this insight into Victorian middle class culture.